Stop making the same organizing mistakes over and over again. 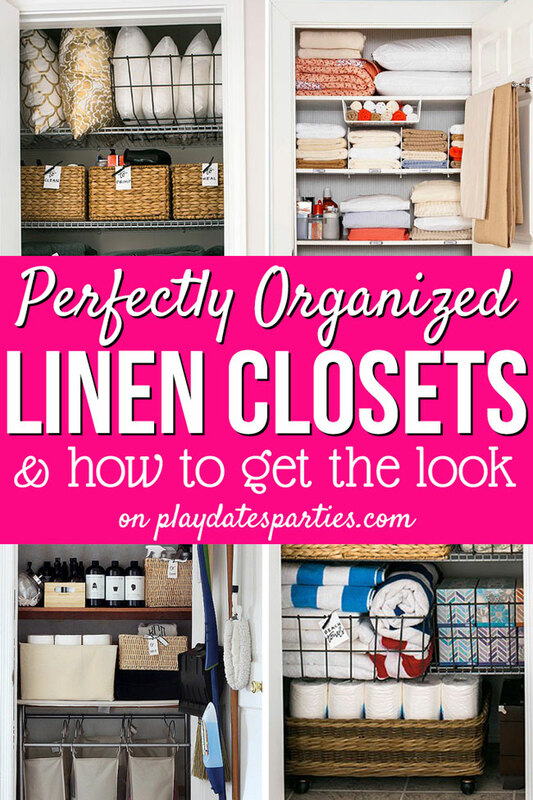 Read on to learn the smart way to clean out linen closet once and for all. Were lucky enough to grab the last 5 seats on the next direct flight leaving immediately. You would think that I would have just taken the week off from our linen closet renovation. So much can get done with the right amount of determination. Monday was officially purge day, and I couldn’t wait to get my hands on clearing out the jumbled mess that has accumulated in our small linen closet. But as excited as I am to get to the beautiful linen closet of my dreams, I didn’t let my excitement get the better of me. You see, I usually, I purge erratically. One day, I decide I’m sick of the mess around me and just start throwing things out. But I wouldn’t start with a clear vision for the final space. So I would just purge the old and useless stuff and then put everything else back without much rhyme or reason. But this time, it’s different. I took the crucial first step of creating a design vision, and it made a huge difference. Now, I’m able to clean out linen closet the right way. And I’m so much more prepared for the final steps before our linen closet is completely done. 1. Identify Your Design Plan and Goals. Don’t even start the next step until this first step is done because every other decision you make will be dependent upon your design plan. Skipping this step will almost guarantee that you will end up less satisfied with the end result. Read more about creating the right design plan here. A good clean-out means you have to take everything out. And I mean EVERYTHING. I know it’s a lot. My entire dining table, sofa, and kitchen island were covered with junk after pulling it all out. But it’s a critical step. Emptying the closet helps you see it as a clean slate, and prevents distractions from the vision you created in step one. 3. Throw out expired or useless items. Grab a couple bags and start filling them with items that you no longer use and can’t be donated. It might surprise you to find out how much junk is just sitting in your closet wasting space. Note: Be sure to keep medications separate and to dispose of them properly. 4. Separate items to donate. Even with five people in our family, we don’t need as many towels as we had. It was just ridiculous. Instead, we kept only two sets of bath towels per person, and an extra two for guests. That means 12 bath towels. Period. I even found a set of bed linens that don’t fit a single bed in our house. Why on earth keep those things? Anything you don’t keep, donate, recycle, or throw away. You probably won’t miss it. Tip: Be wary of holding on to towels and linens for repurposing. They often have a way of adding clutter to other areas of the home without ever getting used. 5. Identify items that need to be moved elsewhere. There are always a few items that end up in a linen closet that could be stored somewhere else. For example, we decided to keep bath towels in the bathroom and bed linens in the bedroom. This keeps those items where they are actually needed and keeps them out of our (very small) linen closet. We also decided to move all the beach towels to a different storage closet. Since they only get used during the summer, there’s no need to keep them in a closet we use regularly. 6. Sort remaining items according to your family needs. Some categories are simple like the towels and sheets I mentioned above. But other things need to be organized according to how your family is living. We keep more medicines and first aid in the linen closet than anything else, and they ended up being a huge source of clutter. After clearing out whatever you won’t bee keeping in your linen closet anymore, sort everything else into clear categories. The categories for your family might be different. It all depends on your lifestyle, if you have kids, and so on. 7. 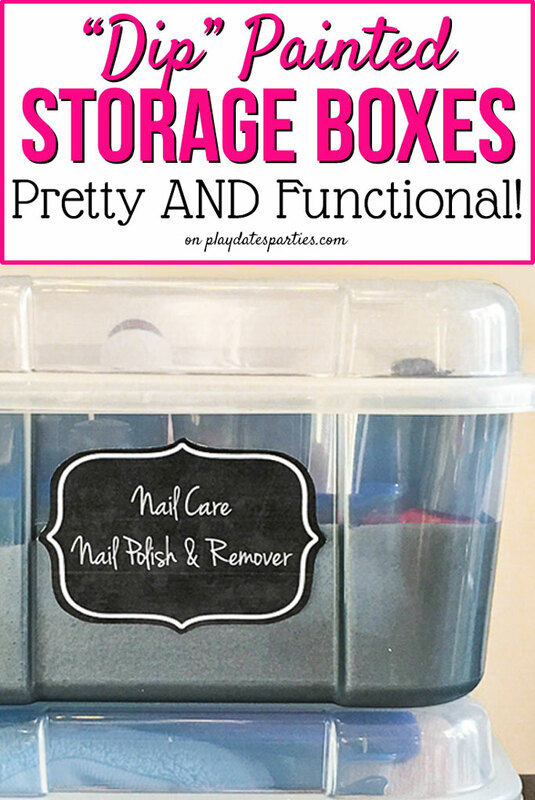 Place categorized items in temporary storage and put together an organization plan. If you’re impatient like me, this is the hardest part of the whole process. When I start a project, I want to get it done NOW. But trust me on this. Don’t start planning your organizational system until you’ve finished purging and organizing what you have. If you do, you will either forget to plan for something, or you will plan to store something you don’t really need. The easiest thing is to use old shopping bags, small boxes, or gallon-size ziplock bags to keep everything organized. Then, figure out what the best type of storage is for each of those categories you identified above. 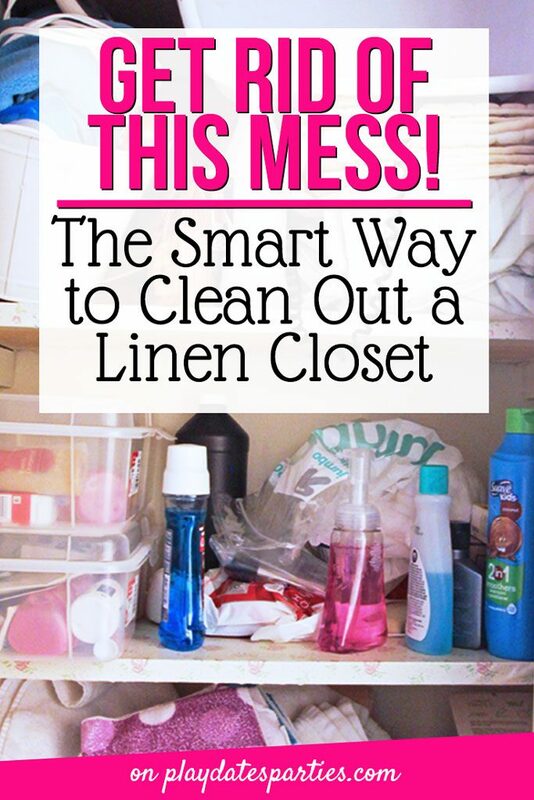 Since everything is out of your closet, you might as well clean it up a bit, right? Give your linen closet a fresh coat of paint to get rid of any smudges or spills that accumulated over the years. I dedicated a couple days just to clean out linen closet. With a fresh coat of paint on the walls and the trim, it’s just so much brighter! You can see from these pictures that I’ve already done a little bit of shopping, but we’re nowhere near done yet. 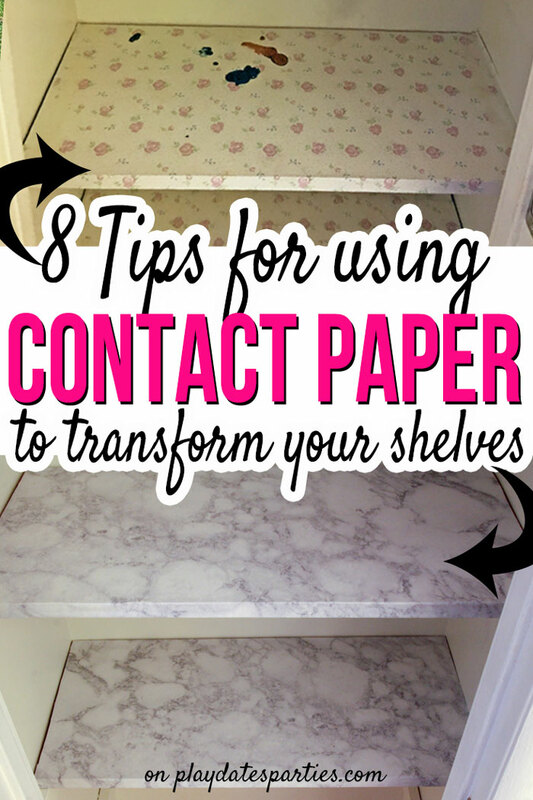 That old contact paper definitely has to go. Hopefully you won’t be hopping on a plane 3/4 of the way across country while cleaning out your linen closet. But if you do, you now see just how much you can still get done! With these 7 steps (8 if you repaint), you will be on your way to a linen closet that isn’t just cleaned out, but is functional for your whole family. Do you purge with a plan or sporadically? What color would you paint your linen closet? Holy cow – were the five seats together on the plane?? We’ve been there with croup too. You’re amazing with this post! Our linen closet is in need of a major overhaul. It was fine for awhile.. and now it’s awful! Thankfully we fly Southwest, so we were able to get 5 seats between the last two rows on the plane. So much more has been done since this post went up. I can’t wait to share it with you! Wow what an “exciting” trip. I am so sorry about the coup that sounds rough. I am amazed at your closet, I actually do the fed up and toss it all out! Thanks for sharing these tips, they will come in useful. Despite the crazy things that happened, it was a lot of fun. Colorado is a gorgeous state to visit, and I’m glad we got to see some of the most beautiful parts. Though I don’t want to drive on the Million Dollar Highway again. Once was enough. ? There are lots of projects to share on this closet in the next few weeks, so stay tuned! Hi Leslie! Our linen closet is just the old paint colour from our previous home but I would love to do something more fun in it! Great tips here:) Pinning! Hi Krista! 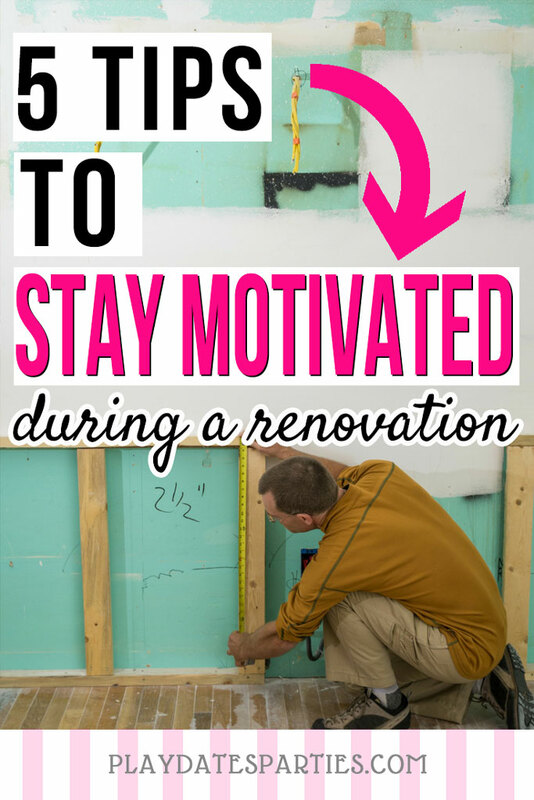 Obviously we just kept the closet color white, but I’ll be sharing a couple easy projects you could copy that have a huge impact. Okay, now I know I should really purge my linen closet. Sigh! Can’t I just keep shoving things in there? Thanks for hosting this link party and thanks for the great tips! I just cleaned out my “medicine cabinet” in my kitchen but when I put everything back it’s just a jumbled mess again. It came to me as I was reading your post that I could get little containers and simply categorize everything- cold remedies, bandages, etc. Thanks for the inspiration! 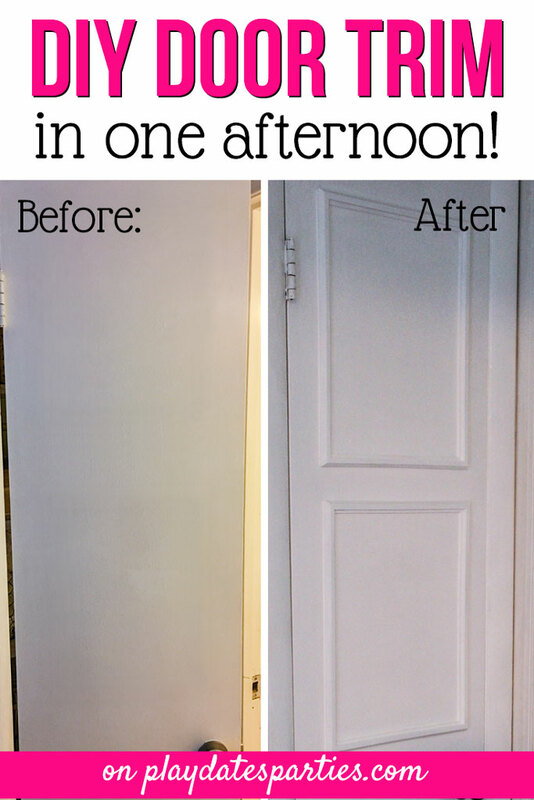 You did a great job on your closet! I did mine last year and it’s probably time to do it again! I agree that pulling everything out is key. Taking everything out is so important!! Not only because it gives you that blank slate, but also because (1) putting things back in takes effort so I’m not going to put junk back in that belongs somewhere else, and (2) if I have the contents of the closet all over the hallway floor it means that I’m forced to actually finish the re-organization! That’s the only way I get anything done, just start and then I’m forced to finish. Designate set space for additional needed supplies, toilet paper, paper towels, trash bags, shampoo, toothbrushes. No impulse purchases just because something’s on sale. Only keep coupons for items you know your family uses. Using coupons “before they run out’ is a good way to get additional clutter of items you might try and Not like or use. A waste of money and space. Small house, however, when everything’s clean (clothing and linens) they have a designated space for storage. Clothing is still one thing in 2-3 things out. Towels not so much, a place for all, although I have turned some bath towels into hand towels whenever they get worn. Have 2 changes of bed sheets and one extra spare blanket. Will use 2 sleeping bags and camp cots for emergency guests. Have extra pillows. Daughter and grand children stayed a week about 5 years ago when power was out at their home due to storm. 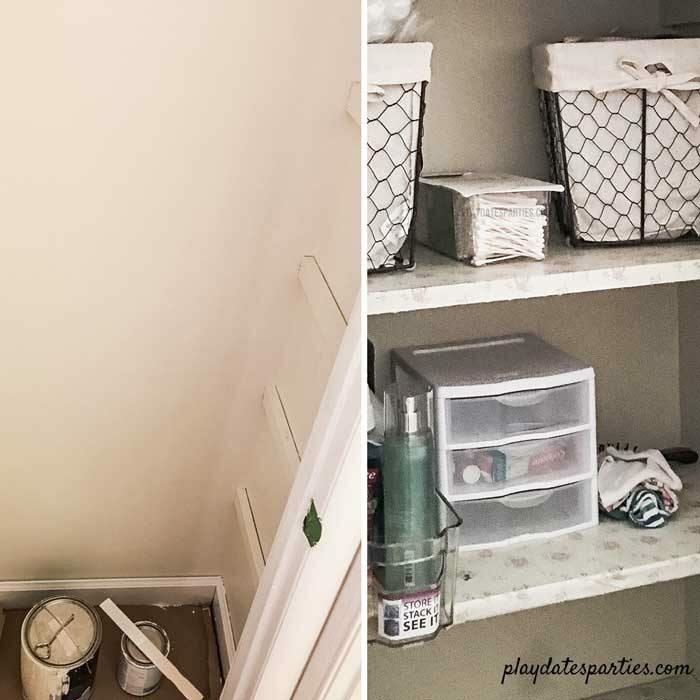 I looked at my linen closet accidentally yesterday and gave it a quick cleaning…but now after reading your post, I think it will do my insides good to go back and really purge!! Great tips! This is on my list of things to do this week! Great ideas you have here! Hats off to you girl for managing all of that! My linen closet desperately needs some organization. I have sheets and pillow cases in there from over 25 years ago. Definitely time for an upgrade. Do I really have to plan it out? Ok, if you insist. These are great tips and thanks for sharing with us this week at Celebrate Your Story! I so very much need to do this. *groan* Great tips!! What a transformation! 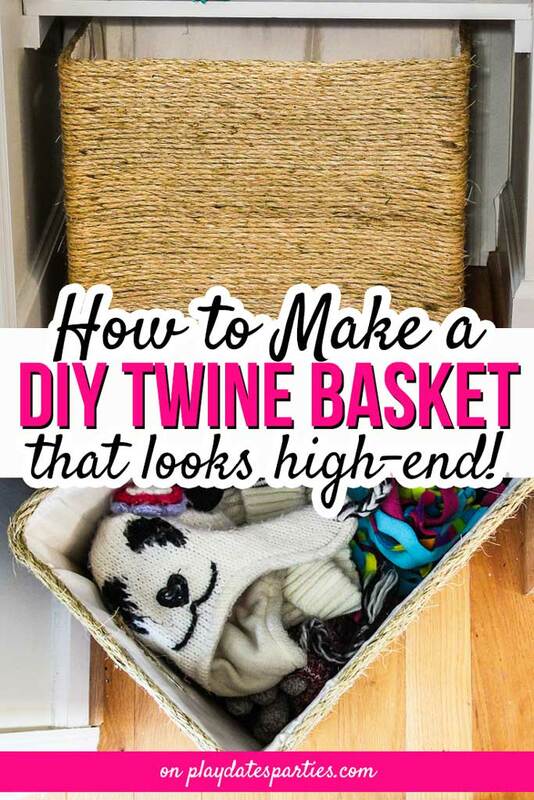 I love all the baskets and especially the wire one for paper towels. I hadn’t thought of storing them like that, but it makes complete sense! I tend to purge sporadically. Usually when I clean and organize, it’s because a mess has gotten the best of me and I realize that “stuff” is just not worth my sanity. You did a great job with this closet! You can try painting your linen closet with white colour. This colour gives elegance and brightness wherever it is used. It is my personal favourite too. Purging clutter from my home is the focus of my summer this year. I already did one round in all of the rooms, but need to do another round soon! I feel like these things should be done in steps, I know I have more I need to let go of! These are all really great tips and just in time too because I am in the middle of decluttering my home. This post will give me a boost; I still think I may tackle one small space at a time, though, otherwise I’ll be overwhelmed. The medicine cabinet was a good starting place for me! Thanx for all your tips. Personally, I love donating old my old towels to our local animal shelter; by the time I’m eady to let go of something, it’s usually ready for paint rags! Your before and after is awesome. 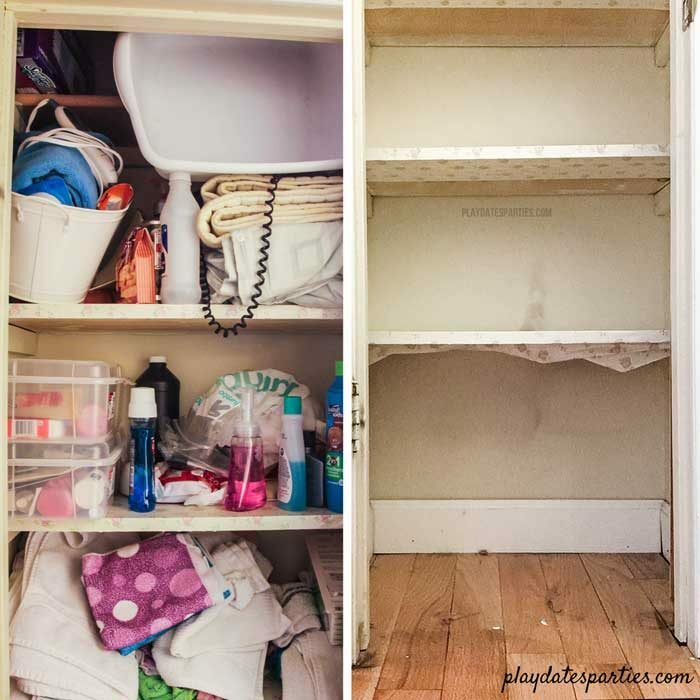 I totally agree that you should go into organizing and purging a space with a game plan. Too often in the past I would organize and end up with a cluttered, messy space a couple of weeks later. Your tips really do work! Cleaning is definitely different than organizing. We just did a bit of the latter ourselves. Wow, what a week you had! I always take everything out when I clean an area. I like to start with a clean slate. Thanks for sharing these great tips with SYC. I don’t actually own a linen closet, which is great in a way as if I did it would be totally full of clutter, but it does mean a lot of this stuff is kept in other areas of the house and clutters them up. I’m going to use these tips to start clearing those out. Such great tips! Sorry to hear you had such a… um.. memorable trip but it sounds like you made the best of everything. One of my biggest fears is missing our plane and not being able to find a way home together. So glad it all worked out and didn’t dampen your organizational goals. Pinned. Thank you so much for this tutorial! 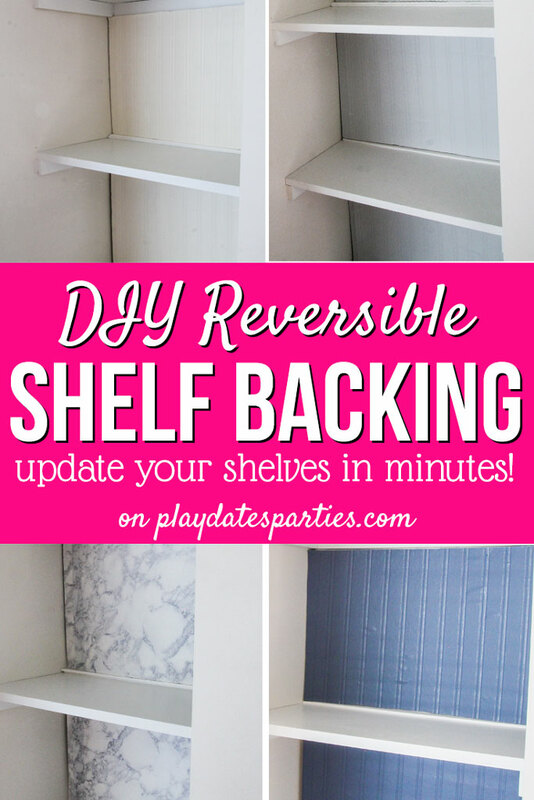 I would love to change the backings on my bookshelves. What an inspiring post to help me get moving on it! Thank you!